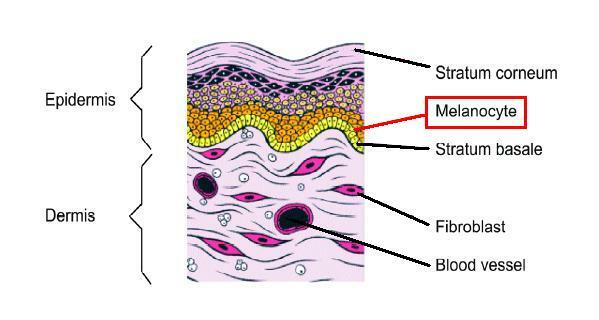 Melanocytes, which determine skin color, sit at the base of the skin’s epidermis. Regular sun exposure and tanning. Major trauma such as burns, scalds, road rash. Common injuries such as chickenpox, acne, and general cuts and scrapes. Hyperpigmentation resulting from hormonal changes and medication. Age-related hyperpigmentation such as age spots. Unlike your natural color, these pigment changes can occur at varying depths of the skin – within the top layer epidermis or within the deeper epidermis. This explains why some discoloration is easily removed while others remain stubborn and refuse to lighten.